Do you ship throughout South Africa? Yes, orders are sent via courier and take up to 3-5 working days to be delivered to your delivery address anywhere in South Africa. We do not ship internationally. Shipping cost R150 outside the Western Cape and R80 in the Western Cape. Local pickup is only arranged for Bellville residence in Cape Town. Can I request a mixture of petals? We are able to mix petal colours for all orders of 40 items and above. You can choose to have a set of 20 in one colour and another in a different colour. Or you can choose to mix it altogether and all 40+ will have a petal mixture. We are able to create a special petal mix for all orders of 20 items and above in our boho range. 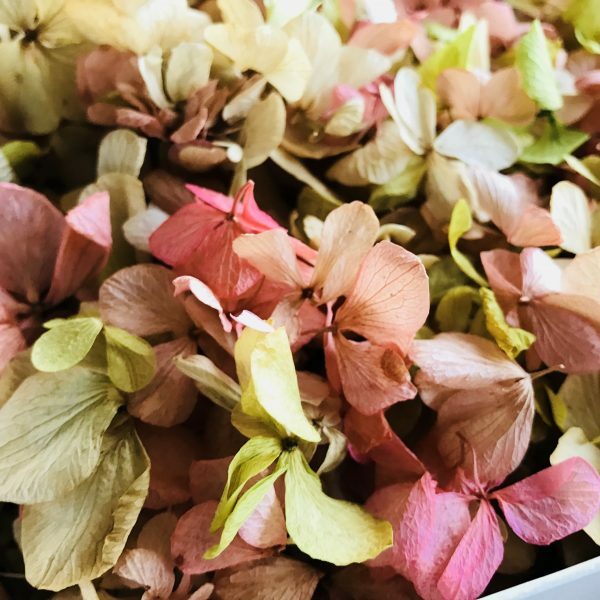 Choose from our naturally dried flower petals (rose and delphinium) and our herb flower petals (cornflowers, calendular, lavender, yarrow, jasmine buds) and we will quote the petal mix for you. Contact us more info about petal colour mixing. Should I buy for everyone? This depends entirely on your budget and is a personal choice. Start with your photographer. If they plan to do a CONFETTI MOMENT with a countdown to confetti being thrown, then most of your guests would like to participate. Having a good understanding with your photographer is key to get the perfect confetti moment. We usually advise that you supply enough for around half your guests as not everyone will throw the confetti. 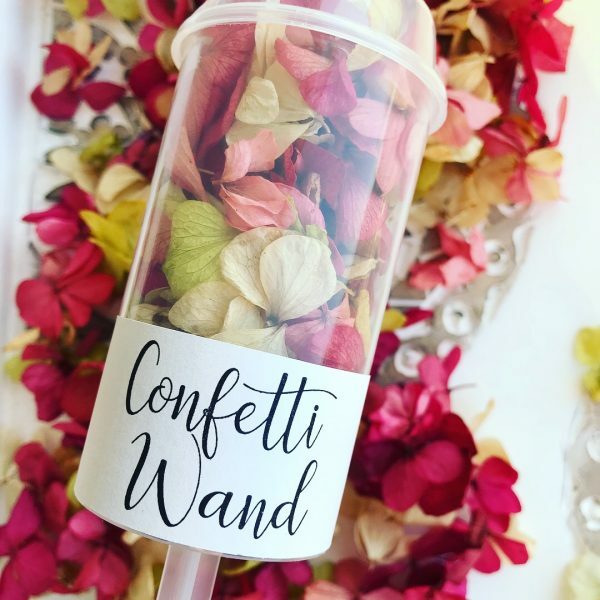 Some brides are buying their Bridal party (bridesmaids, flower girls, best men, maids of honour, parents, etc) each 2 of our Confetti Wands (our set of 20) for great bridal party photos playing with our confetti during the private photos with the photographer. And then using the extra wands for the confetti moment. Some brides are buying a mixture of Confetti Pouches, Confetti Boxes and Confetti Wands and then having some bubbles in the confetti mix too. Ultimately, it’s up to you and hope that you find the right confetti bundle. Call us if you need some more info. Can I order a rush order (less than 4 weeks) ? For some reason, confetti is always left to the last minute. We are used to nervous phone calls 3 weeks to the wedding! We have many factors that we consider so contact (call, email, facebook) us. We try to help all everyone that calls us. The closer you call us to your wedding day, the less choices you will have available. Our 6 weeks process allows us to source the colours you want, the paper and packaging just as you ask for and if we find any supply issues that we can discuss it with you and give you alternatives. Less than 6 weeks and we have to work with what is available. So yes, we can do rush orders, go on, call us! How long does the confetti petals last? Our luxury dried petals can last up to 3 months if correctly stored. Preferably order your confetti bundles about 6 weeks prior to ensure you get the freshest looking petals that will be look great on the day. Do you use fresh petals? We use luxury dried petals that look as good as fresh petals but can last as long as 3 months. We do not offer a fresh petals option. 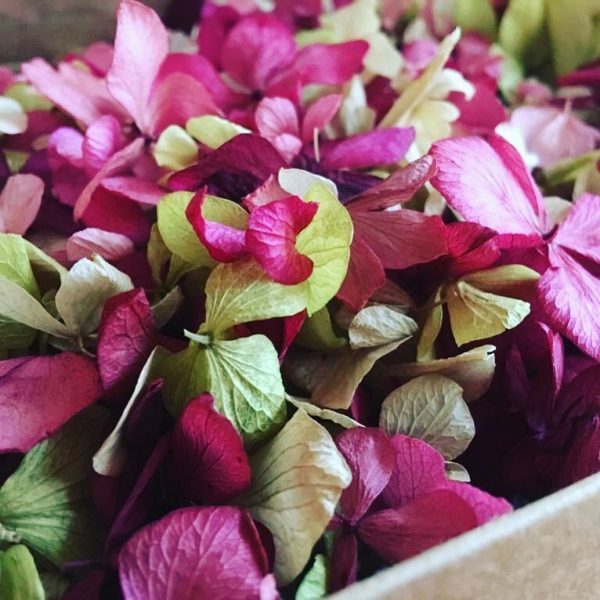 Your orders can take about 6 week to complete due to our work being bespoke and our rose petals are especially sourced for your confetti bundle. We typically ship between 1 to 2 weeks prior to your big day making sure the confetti is in optimal condition and ready for festivities. If your order is urgent then please call us or email us first to make sure we can do your request and to complete your order for you in time you require. You may be limited to what is in stock. Shorter timeframes than 6 weeks can only be offered if we have sufficient petals in stock to complete your order. We make every effort to get your confetti to you on time before your big day. How should I store my confetti? Do NOT put them in the freezer – it will spoil. Follow these rules and your confetti will be great on the day! When should I order my confetti? 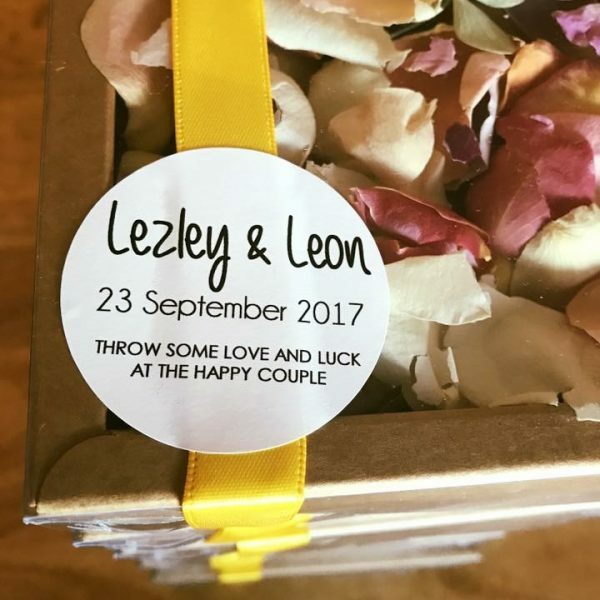 You can order your confetti from 1 year in advance, pay and tick if off your list. We start the handmade process about 6 weeks prior to your wedding day. We typically ship between 1 to 2 weeks prior to your big day making sure the confetti is in optimal condition and ready for festivities. Our courier should deliver it within 3 days once it is shipped.